Natural gas compressor system composed of a oil-onjected screw compressor, directly coupled to an electric motor through a flexible coupling, controlled by inverter and by pass. The regulator system could be customized to follow customer needs. Typically used for turbine fuel, endothermic engine or booster. For more information about the application see also: Power Generation. 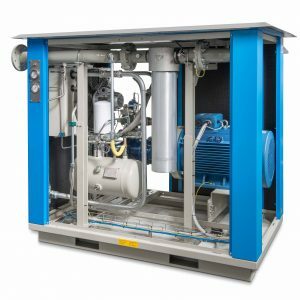 Natural gas compressor system composed of oil-injected screw compressor, directly coupled to an electric motor through a flexible coupling, controlled by inverter and by pass. 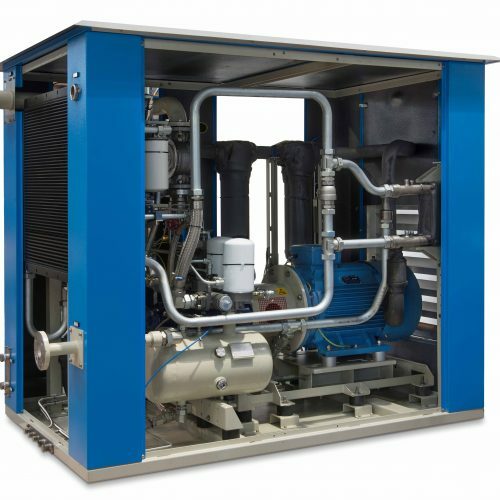 The core of Adicomp compressor stations is the screw pumping unit. It is designed and manufactured by the Termomeccanica Group, of which Adicomp is an integral part. 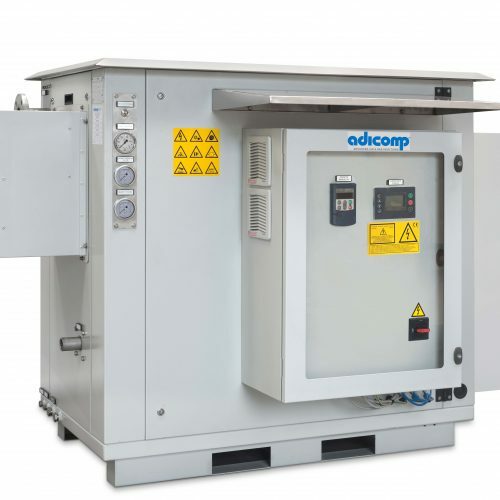 All Adicomp compressors are designed and made to maximise ease of installation. No special operations are required, except for installation on site and an electricity and gas supply. Everything is already set up in the company and, thanks to the commissioning service, you can fine-tune the operation of the package on site. 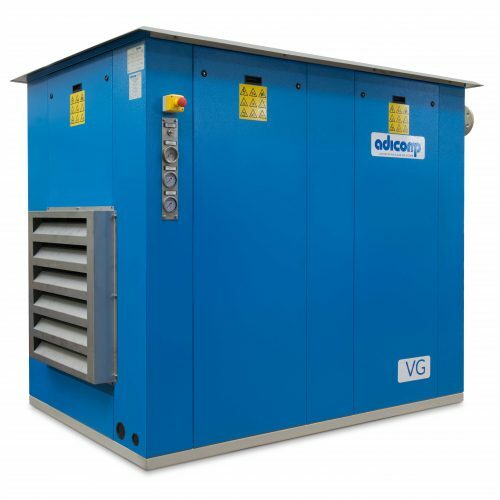 At Adicomp we keep an eye on energy savings and our compressors are designed to adapt to the flow of gas, which usually is not constant. To do this, our packages can be fitted with inverters, by-pass elements and a slide valve. 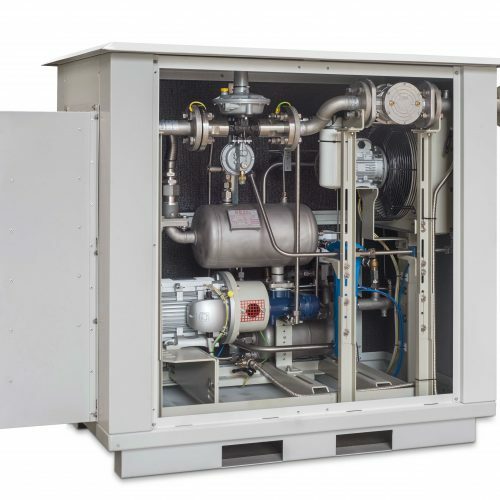 About 80% of the heat generated by a screw compressor can be recovered and used to reduce overall energy costs and thereby power various utilities. How? Thanks to dedicated oil/water or gas/water heat exchangers connected to the water supply on site.